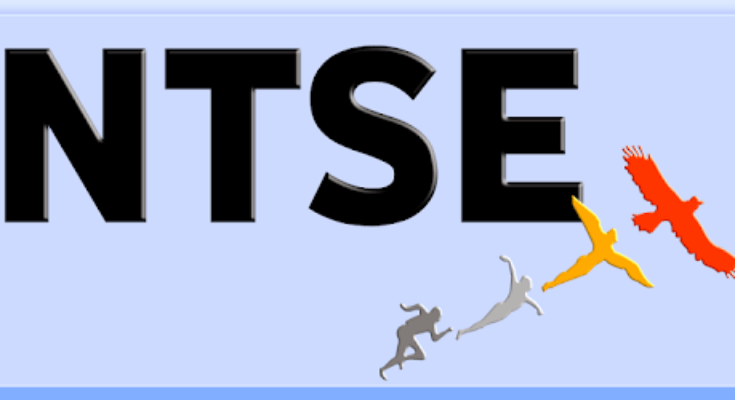 In this post I am going to tell you about NTSE Exam. You will learn about what is NTSE Exam, NTSE Exam pattern, syllabus, eligibility criteria, how to prepare for NTSE Exam etc. The purpose of the article is to explain in simple language about this very important exam for the students. For the purpose of lucidity, I have explained point-wise and effort has been made to cover all the important points. After reading the article if you have any doubt or question you can raise in the comment section. In my earlier posts I have also told you about NSTSE and Olympiad Exams so those who wants to know in detail can visit the posts. NTSE or National Talent Search Examination is one of the most prestigious national level scholarship programs for students who are studying in 10th class. The objective of this exam is to identify talented students and help them to prepare for future challenges. NTSE exam is conducted by National Council of Education Research and Training (NCERT). NTSE exam is conducted in 2 stages. The first stage is of State and Union Territory level and second stage is of National level. Every year about 12 lacs to 15 lacs students apply for this prestigious exam and about 5000 qualify for the Stage 2, out of these around 1000 are awarded scholarship. The competition is quite tough but with good preparation it can be qualified. Students studying in 10th class can apply for NTSE. As I have told you that first stage is of State and Union Territory level. Therefore depending upon your State/UT, you can apply for the exam. In the Stage 1 there will be 2 papers which are Mental Aptitude Test (MAT) and Scholastic Aptitude Test (SAT). MAT paper will consist of 100 questions of 100 marks and time allotted is 120 minutes. In SAT paper the number of questions are 100 and the breakup of the questions is Science – 40 questions, Mathematics – 20 questions and Social Sciences – 40 questions. The SAT paper will also be of 100 marks and time allotted is 120 minutes. In the Stage 2 the pattern of examination will remain the same as of the first level. However please keep on visiting NCERT website to check any change or update about the exam pattern. There will be no negative marking in the NTSE Exam. Those who will qualify will get Scholarships as under. But more than scholarship this exam helps you to prepare better for future challenges and once you qualify it is considered as a wonderful achievement. Many colleges in India have seats reserved for NTSE scholars. Students planning to join foreign universities for their higher studies get an edge over other students if they are NTSE scholars. NTSE scholars are given higher preference when it comes to jobs, both in private and government sectors. NTSE scholars also get preference in selection for NDA. Study material and various courses are available at a discounted price for NTSE scholars. When NTSE Exam is conducted? Normally the Stage 1 is conducted in first week of November every year and result is declared from February to April. Thereafter Stage 2 is conducted in the month of May.The final result of NTSE is generally declared between the months of July and September by combining the scores obtained by students in both MAT and SAT. However these are tentative for firm dates please refer to the official website. Now I will tell useful strategy for cracking the exam. The syllabus is quite vast in this exam. Students should refer to NCERT books of 9th and 10 level. First target should be to do a thorough reading of your NCERT books of Science, SS and Mathematics. For Stage 1 you need to also prepare from SS books of State Boards as in Stage 1 most of the SS questions will be from State Board Books. However for Stage 2 which is of national level the NCERT books of SS will serve the purpose. Students should also purchase NTSE reference books of reputed publishers. Do not go for many books rather go for good quality books only. NCERT books along with reference books are sufficient. After thorough preparation of 3-4 months from these books, students should attempt mock test or sample question papers. Here the correct strategy should be that after attempting the mock test one should spend good time to review the paper and learn from the mistakes. Solve previous years papers to check where you stand in the exam. From previous years papers you will get a clear understanding about the exam pattern and the type of questions that are being asked in the examination. Practice is key as regular practice helps you in gaining confidence about the subject knowledge, speed and accuracy. Also make a habit to discuss with good students and also with the successful students who have already qualified the exam. You should strengthen your MAT and SAT sections. Give sufficient time for both and also work on your general knowledge skills. All the questions will be Objective type or Multiple Choice Questions (MCQ’s) and the paper will be through offline mode. MAT section would consist of, Verbal and Non-Verbal Reasoning and SAT section would consist of Mathematics, Social Sciences, and Science. Please remember that NTSE is a nationally-acclaimed examination. Therefore you need to make sure that you prepare well for it in every respect. Make a good study plan and follow it strictly. Make sure that you give significant time to both your strong and weak areas. Planning and preparation is key to success of this exam.